Graco G40 spray gun provides superior finish quality with tighter pattern widths and higher production speeds. The indexing aircap provides fast and accurate positioning in vertical and horizontal positions. Lightweight gun offers greater position accuracy. Enhanced spray tip for uniform atomization and superior finish. Increased transfer efficiency from lower fluid and air pressure. pattern width and position accuracy. Fewer parts means an overall lower cost of repair. 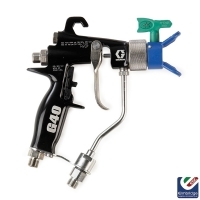 Available to use on applications such as: Light Commerial Painting, Moderate Commerical, Heavy Commerical, General Metal Finishing Spraying, Wood Finishing and Plastic Finishing Spraying. 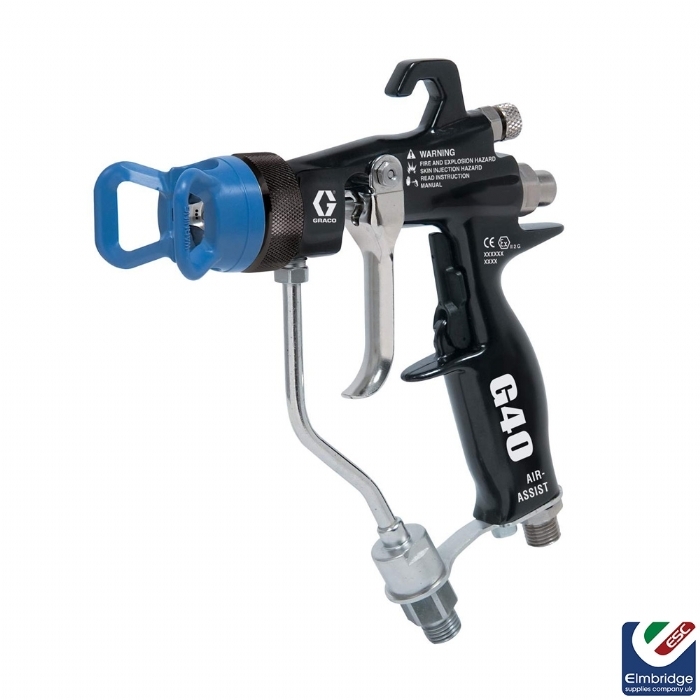 Suitable to use with materials such as: Water-Based Paint, Solvent-Based Paint, Enamels, Waterbrone, Solventborne, High Solids, Single Component, Stains, Varnishes, Lacquers, Acid Catalyst and UV Coating. Tip, Guard and Air Cap Included.